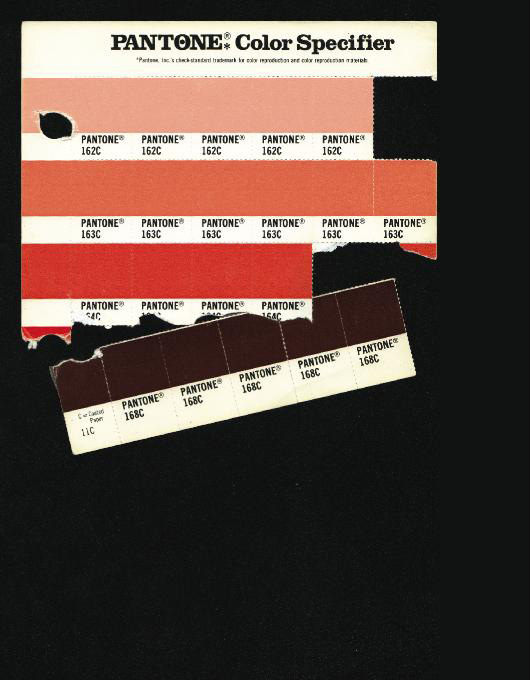 One Man’s Pantone Past | Shelby White - The blog of artist, visual designer and entrepreneur Shelby White. 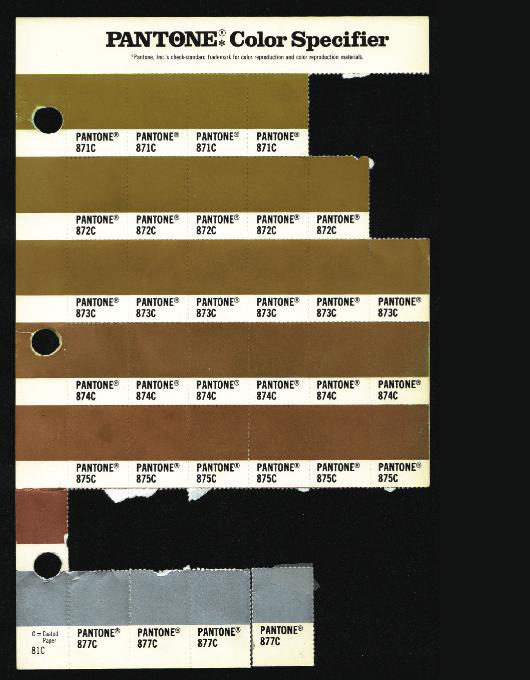 I came across this set of ridiculously cool, used-looking Pantone chips a while back and had to share them. I’m led to believe that David Hyde is the owner of these chips. The aged color and tears are really cool to reference, but other than that, there really isn’t that much to them. 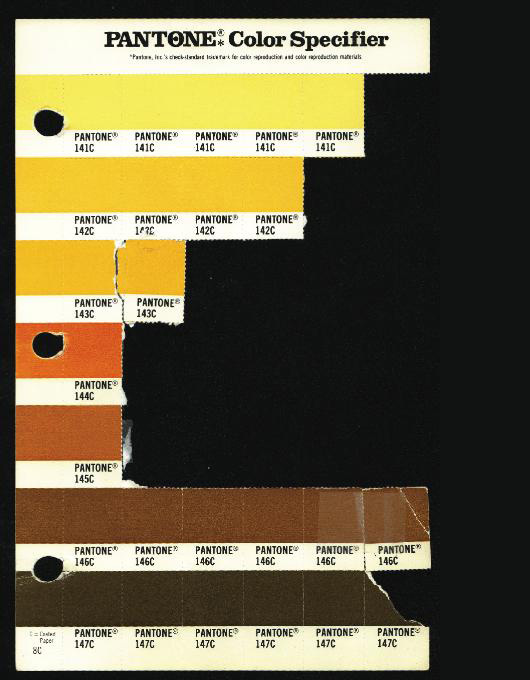 Check out all of them on My Pantone Past. I have one of these old books I’ve been carrying around for about 18 years – I love it but should probably replace it with an updated book some day. Great post. 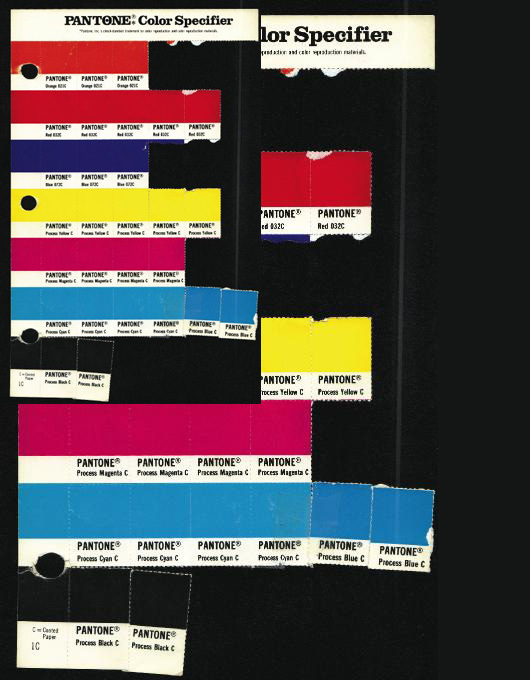 We use these at work still, except they are sticky backed so we can stick them to things. Right now I have a ton stuck all around my monitor for quick reference. I do tend to use the same chips over and over. I have used a lot of 142 and 162 as well. It would be interesting to hear what people’s most commonly used chips are and somehow make a info chart out of it.